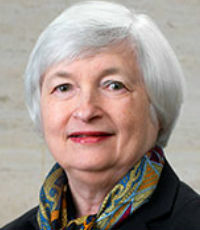 Janet Yellen became the first woman in history to lead the Federal Reserve Board upon her appointment in October 2013. Yellen is widely considered a monetary dove, favoring low interest rates over expansionary monetary policy. Consequently, last year was a record period for mortgage rates, which reached lows not seen since the 2008 housing crisis. Yellen also has vowed to protect Dodd-Frank in the coming months of the new presidential administration.